Continuing with the Valentine’s theme, I have couple of more projects to share with you today using Taylored Expressions soon to be released December release. 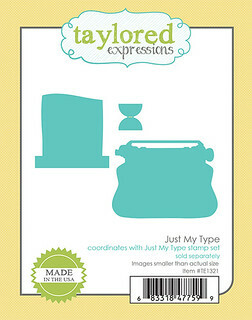 If this is the first time you are visiting my blog, I am sharing sneak peeks of Taylored Expressions December release products. Yesterday was day #1 and today is the second day. Hello and welcome back to my blog. Today I have two more projects to share using two new products. 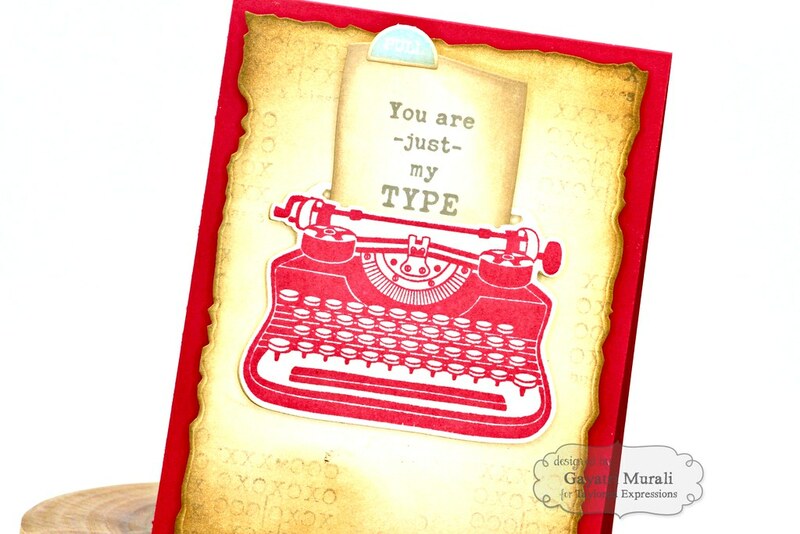 The first one is using new Just my Type stamp set and the coordinating interactive die. I love any vintage image. So I am so happy that Taylored Expressions brought this set. The coordinating die is interactive. You will see it below in my project. And you can pull the paper out of the typewriter to see the image. 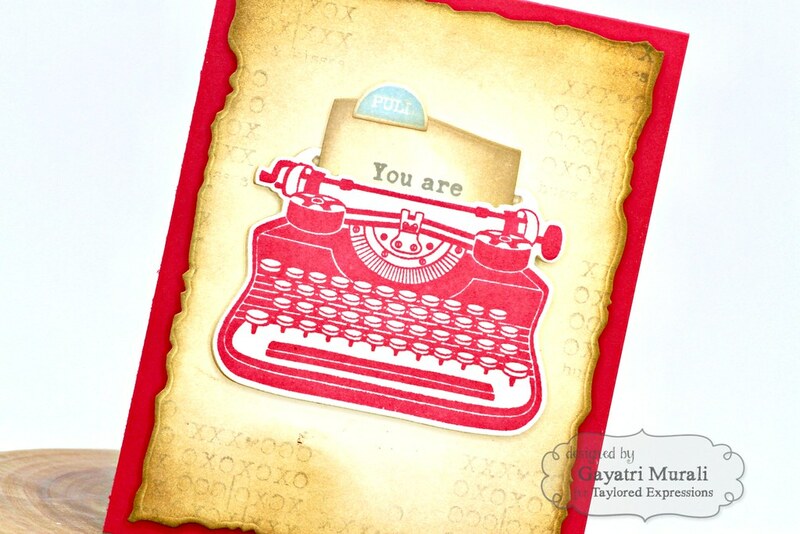 I stamped the typewriter using the new Fruit Punch dye ink and die cut the image using the coordinating die. 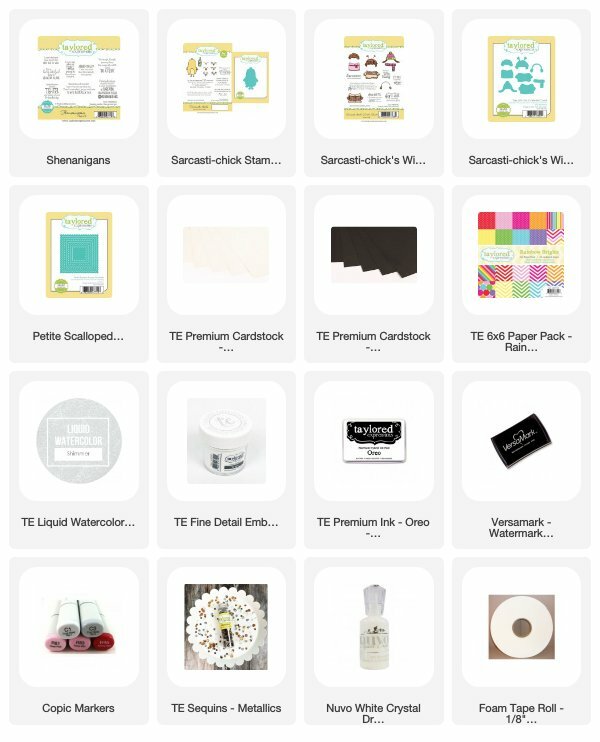 I also die cut the paper and the pull tab using Buttercream Frosting cardstock. I stamped the sentiment on the paper die cut using the new Mushroom dye ink and Pull on the tab using the new Gumdrops dye ink. The paper die cut is sponged with the new Mushroom dye ink and Mocha dye ink for a bit more depth. 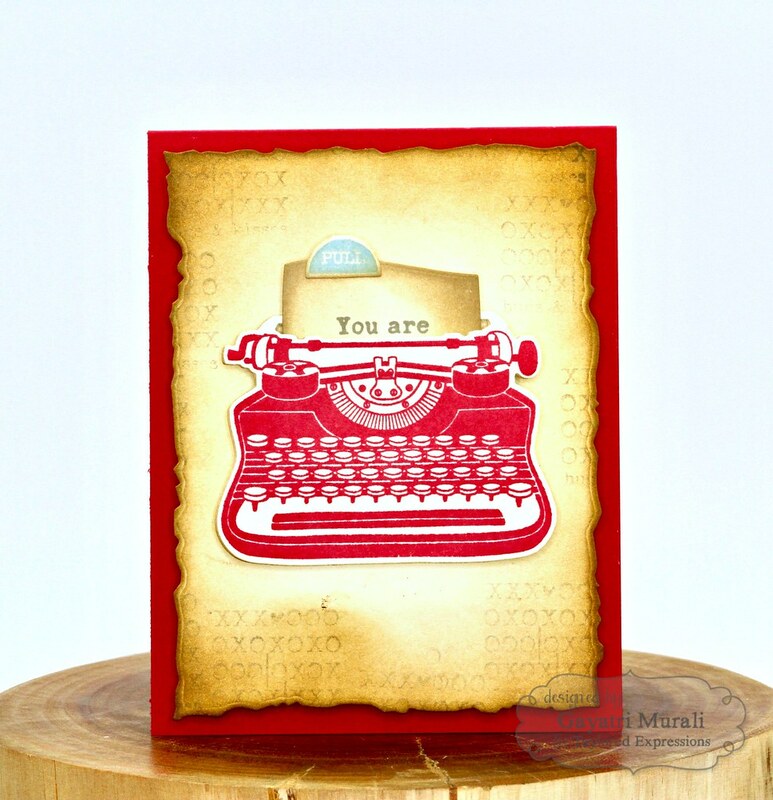 I slided the paper into the typewriter die cut and added foam adhesives around the paper behind the typewriter die cut. The I glued the pull tab on top of the paper. 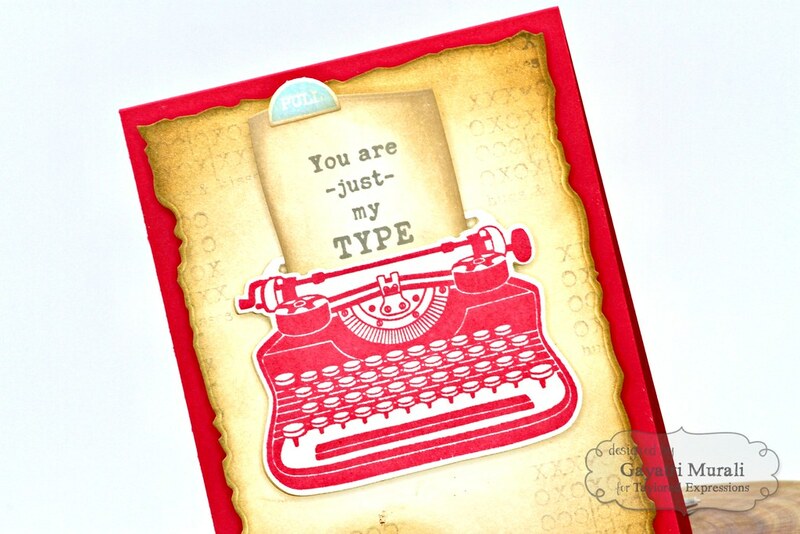 The paper slides inside the typewriter and can be pulled out to read the sentiment. The background panel is die cut using the largest of the Frayed Edge Stacklet and Buttercream Frosting cardstock. I stamped the xoxoxo image from the stamp set randomly all over the panel using second generation Mushroom dye ink. Then I sponged the edges with both Mushroom and Mocha dye inks. I adhered this panel on Fruit Punch card base. I love the vintage feel as well as the interactive element on this card. This set is a must have in anyone’s collection. All supplies used to make this card are listed below. 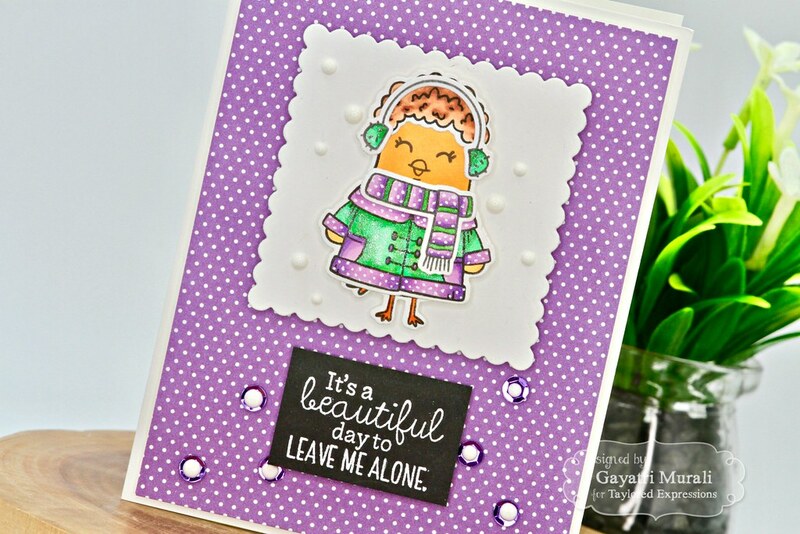 The second project I am sharing uses the new Shenanigans stamp set which goes well with the favourite and best selling Sarcastic Chick stamp set. 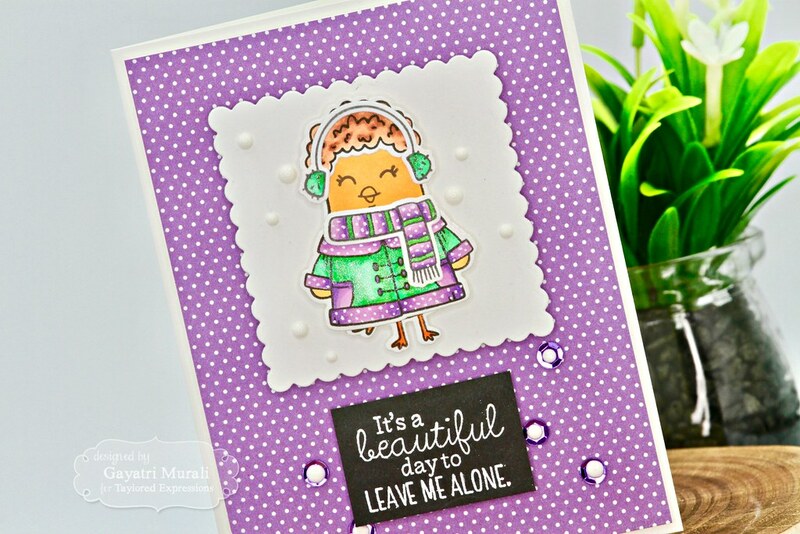 I have also used the clothes from the new Scarastic Chick Winter Closet stamp set and coordinating dies to make my card below. This card is very simple to make but the colours makes the impact. I stamped, coloured, die cut and assembled the Sarcastic Chick, the clothes and hair. I foam mounted the image on to Petite Scallop Square die from the Petitie Scallop Rectangle Stacklet. 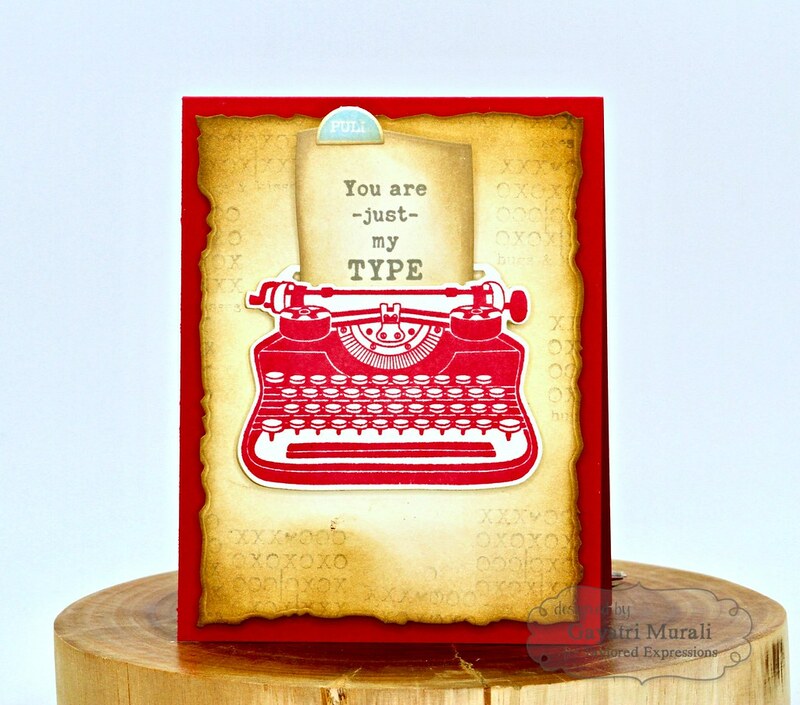 The sentiment from Shenanigans stamp set is white heat embossed on Oreo cardstock and trimmed. To assemble the card,I trimmed the purple polka dot pattern paper from Rainbow Brights 6×6 pattern paper pack and adhered on white card base. Then I adhered the Sarcastic Chick image on the scallop square die on the top centre of the panel with the sentiment on the bottom. I brushed the image with clear shimmer and embellished with Metallic sequins and white Nuvo Crystal drops. I love the sentiments in the Shenanigans stamp set. Most of which I certainly can relate to. This sentiment especially at the moment. I have three needy people at home plus the dog. The dog is the least needy out of all. School and University holidays so two grown children and my mom all at home. No routine, each with their own schedule, three meals to be cooked apart from filling the pantry every alternate days, eats food at different time, need to be engaged, taken out, dropped off, picked up……. you get the idea. I really need ALONE time. I think I will take this card for myself, thanks! Lol! Which one of these two projects is your favourite? 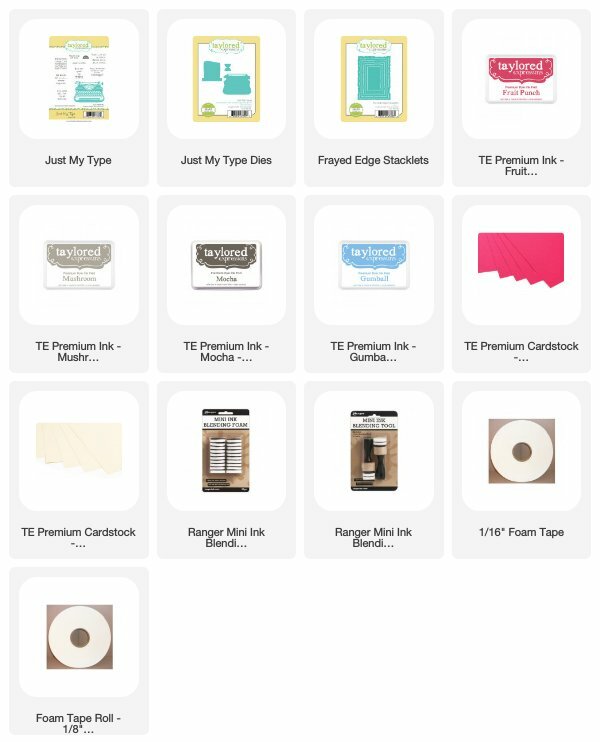 Just my Type card edges a bit more for me. I love the interactive element on that card and the vintage vibe to it. I will see you tomorrow with day #3 sneak peek. Thank you for taking the time to visit my blog today. Love your cards! 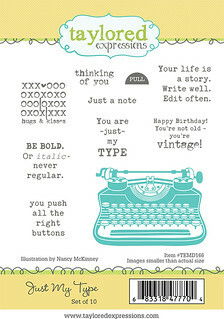 I am in love with this typewriter! And I need to look at the frayed stack let’s!